NEW DRAG CONTROLLERS AND UPDATED GENESIS CONTROLLERS ARE HERE! ALL NEW GENESIS CONTROLLERS AND MODULES ARE HERE! Our all new Genesis design controllers and modules feature a remote cable design. The heatsink hangs on the edge of the track for a lightweight and more comfortable handle. 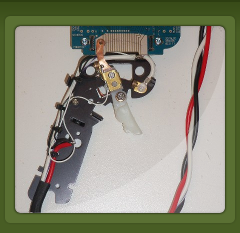 Our Genesis HD30 controllers use a thin cable between the handle and the heatsink assembly. To get the best possible braking all Genesis controllers use our new E.S.P. relay braking system. The E.S.P. relay bypasses the brake circuit to provide the shortest resistance path and the best braking possible when activated. All Genesis controllers feature a 40 amp full power relay with 10 ga. or 12 ga. wires. 1) Modules: Convert your Parma Turbo controller to a full function electronic controller with our module conversion kits. Our new Genesis modules feature improved instructions with digital photos for a simpler installation. Modules are packed with new features and redesigned layout to make this kit the best way to upgrade to a Difalco controller at a great savings! 2) Module and DD277 Frame, Wire and Ball bearing kit: Combine the module of your choice and the DD277 kit to build as close to the factory version as you can get. You get our exclusive fiberglass frame, wire and hardware. 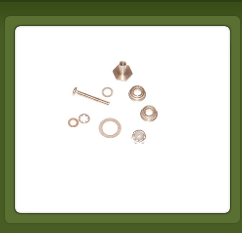 Now contains our ball bearing kit that greatly improves your controllers reliability and function. 3) Controller: Factory assembled controllers have a wide variety of options and price ranges to fit your budget. WHY CHOOSE A DIFALCO CONTROLLER?. OVERALL CONSTRUCTION: Our controllers are built solid with the best components! All stainless and brass hardware. 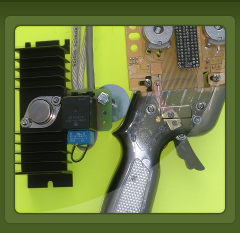 We use custom made and very flexible 12 ga. or 10 ga. wire, 40 amp full power relays and ball bearing triggers for the best performance and reliability. 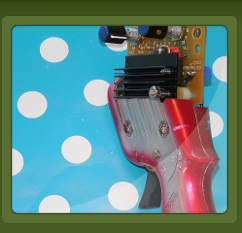 Our 3/32” thick fiberglass frame makes our controller frame very stiff compared to others who use a 1/16” circuit board. This combined with the industry standard Parma handle keeps our controller from flexing in your hand like other brands. Our circuit board is nickel plated for durability and all controls are labeled for ease of use. DESIGN SIMPLICITY: Other manufacturers will try to dazzle you with their complex and technical design. Trying to do the same thing our controller does in a different way. What they do not tell you is how long will it keep working. Our transistor design consists of wiper band resistors, a power transistor and a rheostat to control the overall sensitivity. That’s it! Our brake circuit uses a rheostat for reliability and linear response. Simple! No capacitors, no programmable controllers, no dozens of electronic parts that have an opportunity to fail. UPGRADE: Our controllers feature a separate circuit board and frame design. This allows Difalco controllers to be upgraded to any new design at minimal expense! You old controller will never be obsolete! We offer simple upgrade kits as well as installation and tune-up service to get your older controller feel like new. REPAIR: NO USER SERVICEABLE PARTS! That’s what one West Coast manufacturer has printed in their instructions! When their controller fails they want to send the controller back so they can hit you up for a huge repair bill! Not Difalco Design! Any racer can repair our controllers with little effort and at little cost. Durability and reliability are what Difalco Design controllers are all about! No huge repair bill to pay! You will not loose your controller for weeks while it is at the manufacturer being repaired. This is especially important for racers outside of the USA. We have repair parts available and great troubleshooting instructions so you can get your controller repaired and racing again. If another manufacturer does not sell repair parts that means their controller is too complicated to repair and must be sent back to them! SERVICE: The most important reason for choosing a Difalco controller is our 45 years in slot racing! Difalco Design will be here to serve you no matter what you need. Email or call Jim with any questions or advice you need to improve your racing experience and results. Our Genesis controllers are made in Neo, Pro, Fanatic and HD30 designs with various features and options. We also have dual polarity models available to use on negative and positive polarity tracks. Most of our 1/24 controllers can also run 1/32 cars as is or with adding an optional network. Our large heatsink and hi amp transistor means all 1/24 controllers can handle the fastest G7 motor unless specified otherwise. Please contact Jim at Difalco Design if you have any question about which model is best for you or where to buy your Difalco controller. This is especially important if you want to race various scales like 1/32, H.O. and 1/24 with the same controller. We now accept paypal! See our sales policy section for information on what controller lines are available direct or through your local raceway and how to order. We regularly ship outside the USA or to racers visiting the U.S.A. from other countries. WEBSITE ALWAYS UNDER CONSTRUCTION: We will be adding more individual model pictures, expanded repair how to's and fun stuff like old memorabilia in the future. Hold cursor over category headings and select from drop down menu. Do not click on top heading.